At its coming into being in 1891, Nigeria Customs Service was saddled With the responsibilities of revenue collection, accounting for same and anti smuggling activities. Today trade facilitation has become a fundamental role, progressively seen by government as an important element of economic policy, with Customs having a unique position Within the hub of the international supply chain of goods and services. Consequently, one of the challenges to Nigeria Customs Service Is the proactlve management of the seeming contradictory role of ensuring improvements in speedy delivery of services, while maintaining systematic and effective intervention controls, necessary to meet the demands of complex and growing international trade, characterized in recent times by economic crime, money laundering, menace of terrorism, threatening weapons of mass destruction, violation of intellectual property rights, and dumping of toxic and hazardous substances. 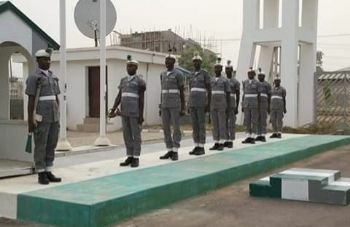 It is apparent therefore, that Nigeria Customs Service that has for long been a steward of the nation's trade and border management Is not only under pressure like never before, but now has an enlarged role to perform at the highest levels, to facilitate legitimate trade in a global environment harbouring a litany of threats. Nigeria Customs Service has the mission to provide services in ways that maximize efficiency and promote trade competitiveness wherein declarations are promptly processed. Nigeria Custom Service is set to recruit 800 applicants to fill vacancies in the Support Staff for Superintendent Cadre Category, and another 2,400 applicants to fill that of Customs Inspector and Customs Assistant Cadre in the General Duty Categories. The Nigeria custom service’s portal for the recruitment would be opened 12 midnight of Tuesday and would be closed after three weeks.